℗ (P) 1950 Fonit Cetra, Warner Music Italia Srl. Remastered (p) 2014 Fonit Cetra SpA, Warner Music Italia Srl. 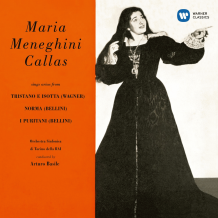 © 2014 Warner Classics, Warner Music UK Ltd.